A late birthday gift from Katrina--a handmade bunny necklace! Lots of bunnies! 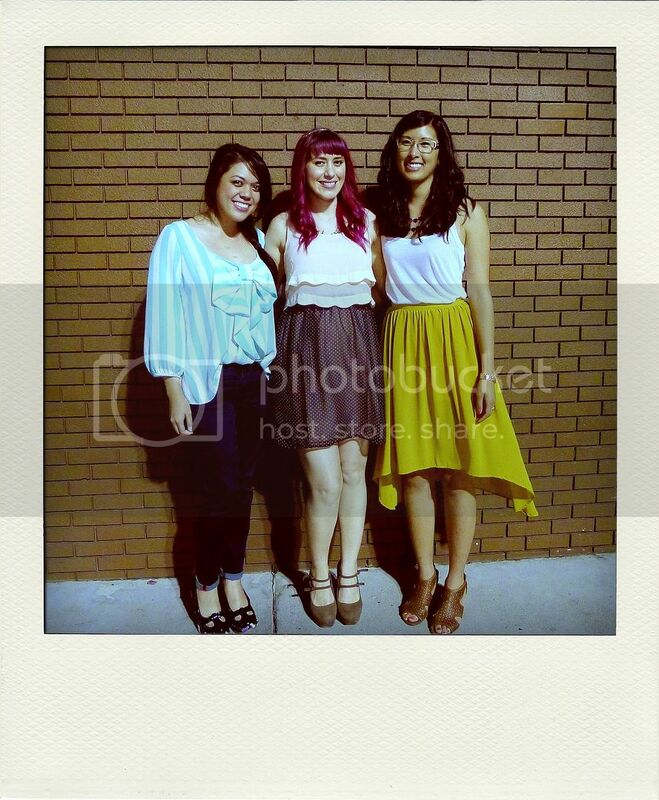 A few weeks ago, I had the pleasure of meeting Katrina of The Demure Muse in person (finally!). This was pretty significant because she was one of my very first Etsy/blog friends when I first started my Etsy shop, and eventually this blog. We've been following each other for a few years now and have learned that we're very similar and like a lot of the same things. So when she told me she was flying to California for a road trip from San Francisco to Los Angeles with her friend Ines, I knew we'd definitely have to make plans to meet up! We met up with another mutual blog friend, fellow Flock Together gal, Ashley of Southern California Belle (random fact: she just became my neighbor! For reals. Like, a few houses down from me!). It was so much fun having a laidback dinner with everyone. We had burgers, cheesy tots (umm...amazing! ), and other deliciously fried eats at Umami Burger. Katrina and her friend Ines were so sweet and easy to talk to, and it was great being able to catch up with Ashley as well since I haven't seen her in a while. Overall, it was an awesome dinner! It was nice to finally see each other in person--I'm sure we'll meet up again sometime in the future. You can see what Katrina and her friend Ines were up to during their California road trip on her blog!